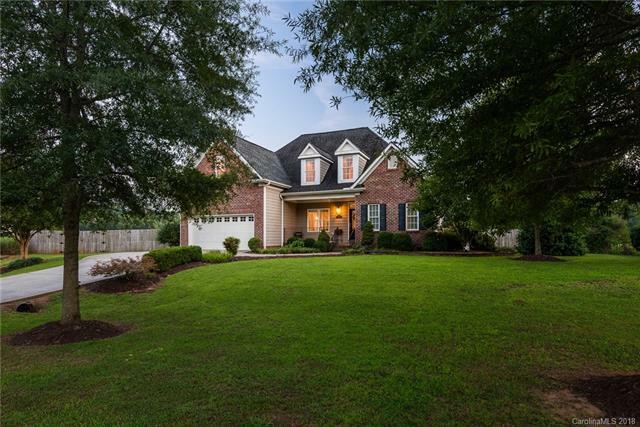 Move-in ready brick home on large .9 acre lot in private, desirable Shepherds Bluff neighborhood. Main level boasts open floor plan and gorgeous hardwoods, the perfect setting for family/guest entertaining and gatherings. Master suite is on main level featuring tray ceiling and tons of natural light. Spacious Master Bath has double sinks, whirlpool tub, glass shower enclosure and walk-in closet. Upper level features (2) large secondary bedrooms with walk-in closets, plus large Bonus Room up. Spacious deck off breakfast area overlooks gorgeous private backyard setting featuring fenced yard, enclosed in-ground pool, arbor, large level grass area, water feature/pond and stunning landscaping. Neutral paint colors and well maintained makes this home very desirable. All this can be yours!